How can you improve the availability of track infrastructure - and plan your maintenance regime - without up-to-date information about its current condition? Asset condition data captured once or twice a year by specialist measurement vehicles – often during the night – cannot possibly provide a realistic picture of a network’s true condition. With InfraMon, our track monitoring technology, we can provide continuous condition assessments through an approach that is both more efficient and more cost-effective, per kilometre, than traditional track assessment methods. By installing sensors and data-loggers onboard regular passenger traffic, InfraMon accumulates track condition data throughout the operational day. 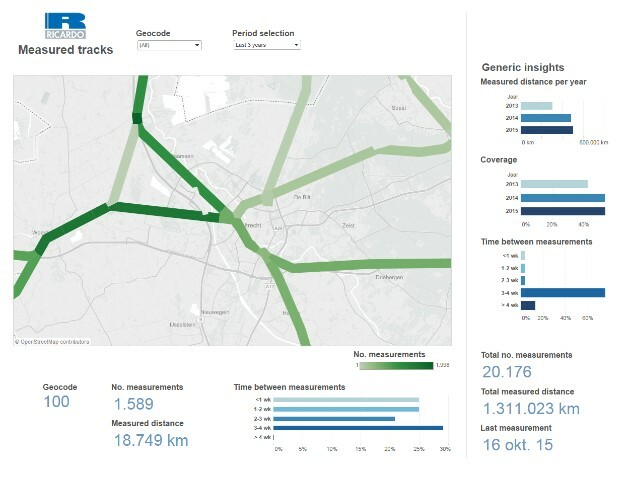 The data are collated, analysed and reported directly to maintenance teams via customised dashboards, allowing preventative action to be planned before track faults cause serious disruption to services. By supporting a more proactive approach to maintenance, InfraMon can help improve track availability and promote more efficient maintenance planning. With continuous analysis of current track condition, infrastructure managers, maintenance teams and contractors can work to deliver higher standards of safety across the network. From InfraMon’s delivery of more frequent data sets, a more efficient, more cost-effective ‘predict and prevent’ maintenance regime can be adopted. InfraMon consists of a central module comprised of a measurements server, hard drive, communication, GPS and sensor technology. The discreet sensor is installed onboard selected fleet vehicles that offer the widest possible network coverage. The outputs are then reproduced in customised web-based dashboards. High-frequency monitoring of infrastructure assets. Early defect recognition and trend changes identified. Provides specific advice for maintenance teams to consider. Cost efficient automated process that uses regular in-service vehicles. Supported by Ricardo in-depth knowledge of rolling stock and infrastructure maintenance processes.